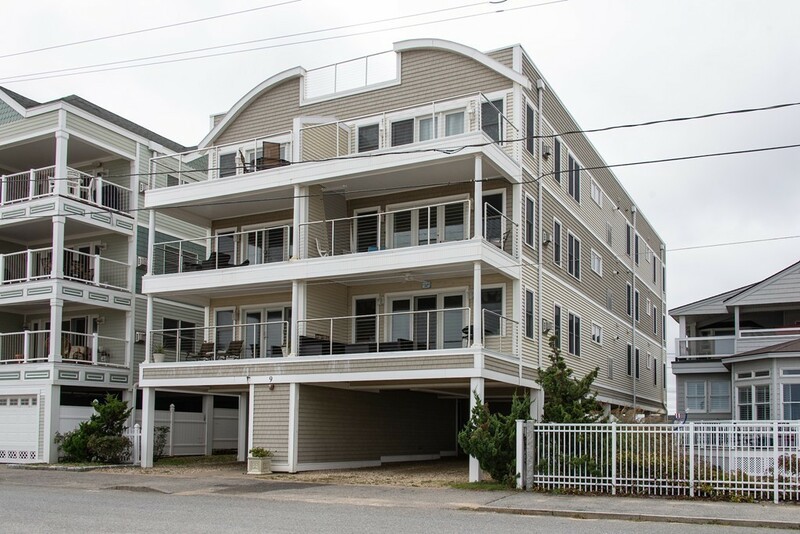 Location, Location, Location ~ OCEAN FRONT CONDOMINIUM ~ with 7 miles of sandy beach as your front yard and panoramic ocean views all the time, spacious and open you will love this Beach Front property. This front to back garden style unit offers a little over 1500 sq. ft. of gently used space (property has not been rented), it is located essentially on the "3rd" floor as the ground level is the parking for two cars (covered + tandem). A secured building, the elevator is key entry only directly into your unit, gas fire place, engineered wood and tile floors, granite, crown moldings along with an inviting exclusive covered deck ~ this property will be a true delight for all seasons! Located just blocks from Salisbury center, minutes from Hampton Beach, Newburyport and all major commuting Routes, be a part of the resurgence of Salisbury! Make your appointment today! !